It's time to pull out the date list and last year's calendar and let's get started transferring all the important information to the calendar and planner that will keep you organized for success in the months to come. If you're like me, you need one to manage the various members of your family and their respective activities, and another for planning your business campaigns, blog posts and product launches. I am glad you asked. 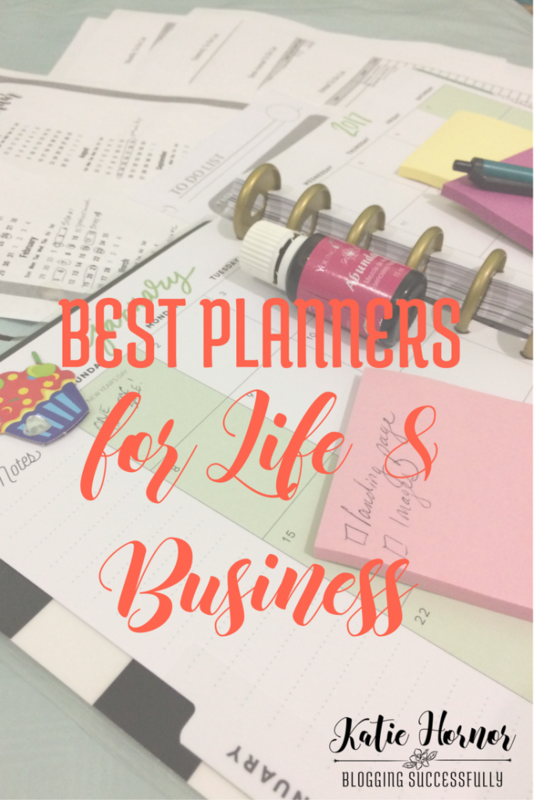 Here are the things I consider when choosing a planner for blogging, business or personal use. Is it pretty? Yep. shallow I know, but if I don't like looking at it, I am not going to use it every day. I know me and that's just how I am. Is it easy to carry? Again, I plan on using this every day. I have referred to my planner as my “external brain” before. I have to be able to carry it around with me without getting a hernia from a 500 page book in my bag! Is it flexible, as in customizable? I don't just work between hours of 8 and 5 every day, and I doubt you do either. And if every single space in the planner is designated for something, where do I put my notes, thoughts, brainstorming or visual planning (i.e doodles)? There must be a way to adapt it and personalize it. Not too much color, there's no room for my stickers ya know? Does it help me reach my goals? It needs to be laid out in a way that keeps my goals top of mind and helps me track and reach them. If you still don't have a planner for next year, or don't have one you like, I've compiled a short list of planners I have enjoyed using through the years. Why not take a few minutes to look through them and find the one that suits you perfectly! 1. The Freedom Journal – is a 100 day (3 month) planner that helps you focus on one big goal to accomplish. I used this successfully last year in conjunction with my other planners and LOVED the sense of accomplishment it gives every day. It's a nice leathery feel hardback book with gold edged paper too. Fancy! But not a full daily planner. More something to use in addition to your planner when a big goal is coming up. 2. The Blog Well Planner – was specifically created for those who blog and/or run an online business. Space to plan out product and affiliate promotions with daily reminders. Goal Tracking sheets. (Helps me break down big goals into just what to focus on his month). Plus free tutorial videos and printable stickers/tabs! Click the image below to order on Amazon. Also check out the 12 Week Year if you're unfamiliar with the crazy potential of quarterly planning. 3. Lily Pulitzer Planner – also made the cut. It's spiral bound, and colorful. The elephants one is my favorite! 4. Day Runner – This is great for keeping everything together, refillable inserts available each year from your local store. You can add pages where needed, when needed. I actually use one of these for my Essential Oil business. 5. The Happy Planner – by Me & My Big Ideas – If the name and co. name don't convince you, I love that you can buy the paper punch for these and change out the dated pages without having to scrap the whole planner. I am big on personalization and there are SO MANY options with this one. Plus lots of stickers to compliment! Some how a “Due today” sticker looks so much more exciting that when I write those words in myself. 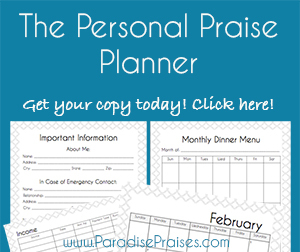 Personal Praise Planner – Classy and printable. Easy on your printer and lots of room to decorate and personalize if you're sticker crazy. 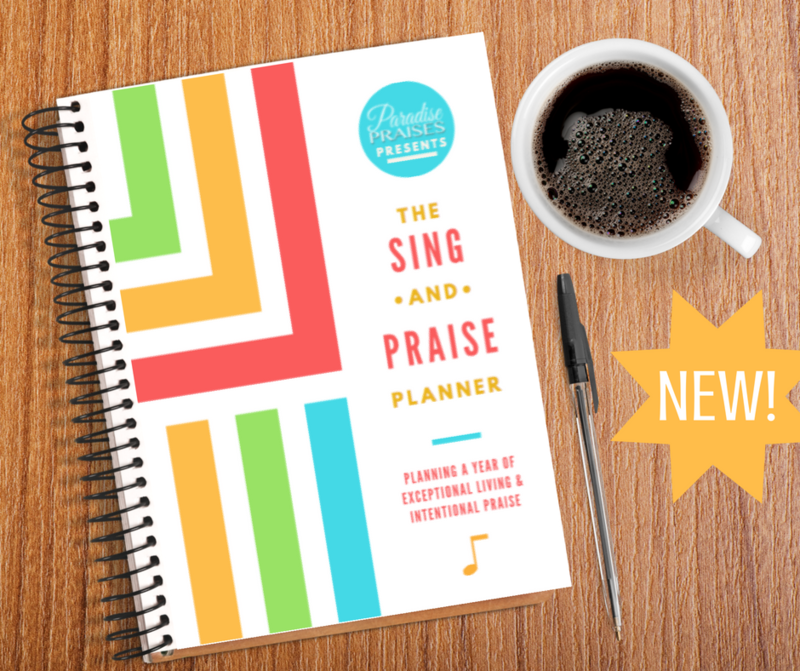 Sing and Praise Planner – Colorful and printable (but prints great in black and white too). I love the devotional pages and printable stickers and tabs included in this one! I have not used this planner (yet) but every year I look at it longingly. It's so colorful and fun, but a little pricy. Maybe next year I'll get Erin Condrin's Life Planner. What is your favorite planner? I'd love to hear your suggestions. Leave us a comment below.